Eric Rudin of RW here. As an unabashed Lakers fan since my Dad took me to watch Magic Johnson lead our hometown team at the Forum when I was little, I was full blown ecstatic at the LeBron signing. I especially loved the fact that Magic Johnson closed the deal. Yes, I did go through an anti-LeBron phase after The Decision. But it got a little harder to hate him over the years. He’s one of the greatest players ever and does things like donate millions of dollars to kids to put them through college. So with LeBron James rescuing my Lakers from mediocrity and worse, I felt inclined to write this top 10 list of reasons I’m happy today with LeBron in purple and gold. 10. We Didn’t Have to Give Up Anything to Get Him?! When I saw the LeBron signing, for half a second I forgot he was a free agent signing. I thought it was going to be followed by “Lakers send Kyle Kuzma, Jeanie Buss’ kidney, and 10 concubines to Cleveland.” But no! LeBron didn’t cost us anything except cap space! This is beyond amazing. If you’re not following the L.A. native/UCLA alum/creator of Comedy Central’s Legends of Chamberlain Heights on Twitter, you’re missing out. But now, with LeBron in L.A., I have a feeling that @KingJosiah54 will take his Twitter game to an even higher level. Big 8-Clap for this one. If you think that the Lakers are done dealing, you haven’t been paying attention. LeBron is coming to the Lakers to hang banners, ensure his legacy, and become a media mogul. That isn’t happening with the current roster. So don’t be surprised if the Lakers complete their trade for Kawhi Leonard or sign him next year. And even if they don’t, Anthony Davis just bought a home outside Los Angeles in Westlake. Hmm . . .
7. No More Tanking! Woo Hoo! Clippers fans have been beyond annoying in the last few years as the Lakers have languished. It’s not like the Clippers won anything. 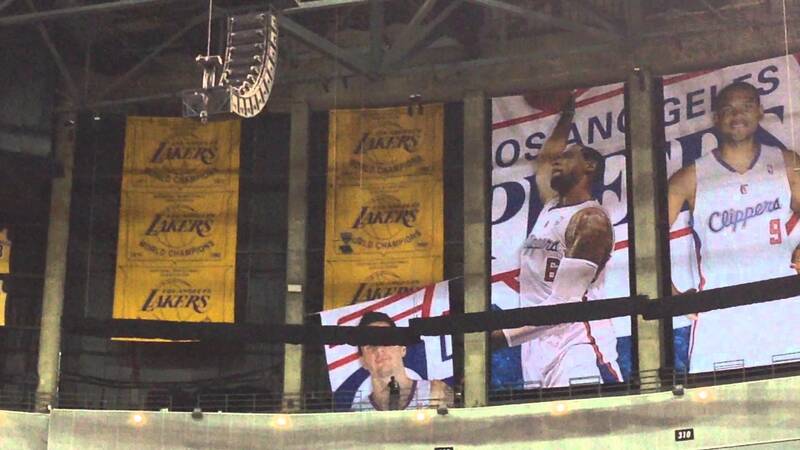 They still hang selfies in Staples Center while the Lakers hang banners. But that hasn’t stopped Clippers fans from laughing at our pain. Laugh no more little brothers of Los Angeles. Your time is up, if we can even call that your time. Okay, it won’t really be a return of showtime, but fast breaks will have those “ooh . . . is he gonna do it to ’em” feelings all season long for as long as LeBron is a Laker. Get ready to hear things like “I still hate him, but it’s the price I pay as a fan to hang the banners”. Easy there champ, you’re not paying any price. You’re watching greatness. Let’s not pretend like the Lakers signed Karl Malone again. It’s okay to root for LeBron. I promise. Guess whose antics won’t be tolerated for another minute longer? Did you know that with LeBron now becoming a member of the Lakers that 5 of the top 7 all-time NBA scorers will have played for the Lakers at some point in their careers? That’s pretty impressive. Note: Kareem, Karl Malone, Kobe, Wilt, and LeBron for those not knowing how to use the Google on the old Internet machine. The Lakers haven’t been relevant since Kobe Bryant’s farewell tour, and let’s face it, that isn’t really relevance. It was a side show. The Lakers are back competing now and as a sports fan, that’s why you show up and cheer. Welcome back Lake Show. This entry was posted in Basketball, NBA and tagged Anthony Davis, Clippers, DeMarcus Cousins, Jeanie Buss, Josiah Johnson, Kareem Abdul-Jabbar, Karl Malone, Kawhi Leonard, Kobe Bryant, Kwame Brown, Kyle Kuzma, LaVar Ball, LeBron James, Legends of Chamberlain Heights, Magic Johnson, Staples Center, Wilt Chamberlain. Bookmark the permalink.